Just days after YouTube barred Alex Jones from live-streaming for 90 days, and President Trump stepped into the Twitter 'shadowbanning' of conservatives fiasco, CNBC reports that Facebook - amid their worst week ever - has banned InfoWars' Alex Jones from posting for 30 days. 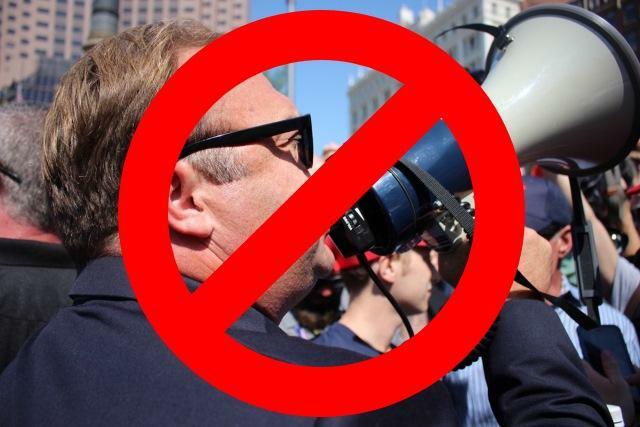 Several Facebook pages tied to Alex Jones, including the official pages for Infowars and Alex Jones himself, are close to being removed from the platform for violating its community standards multiple times, a Facebook spokesperson told CNBC. Jones' personal account was temporarily banned from Facebook Thursday for 30 days after it was found responsible for uploading four videos that went against community standards. The clips were posted on different pages operated by Infowars and Alex Jones. Jones had previously been warned he could be blocked by Facebook for other infractions, according to a Facebook spokesperson. One of the removed videos shows a man shoving a child on the ground to "prevent liberalism," while another discusses drag queens in a crude fashion and suggests they are child sexual predators. Another suggests Muslim people have "conquered" Europe, and will kill everyone and sexually assault women. These are reportedly the same four videos were also removed earlier in the week by YouTube, which also barred Jones from live streaming for 90 days.